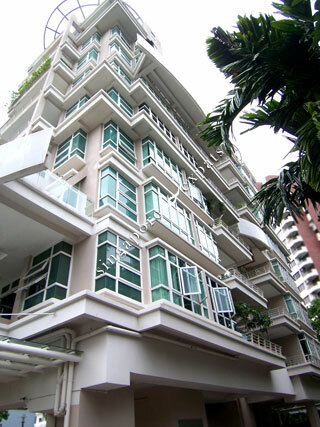 Taipan Grand is a boutique low-density apartment located along Marine Parade Road on the East Coast of Singapore. Taipan Grand is near to the Siglap Vicinity and 5-minute drive from Parkway Parade Shopping Mall. Its convenient location to amenities and the East Coast Park makes this development a great place to live as it is so self- contained. It is also well-served by major expressways including the ECP and PIE. It takes around 15 minutes drive to Changi Airport and a mere 7 minutes to the Central Business District using the East Coast Parkway (ECP). A small corner development at the further end of Marine Parade Rd. Went to see some units there and was pleasantly surprised. Good location if you are driving (ECP seconds away), bus-stops right in-front which connects to the MRT. East Coast Park a few mins walk away too. Generally quiet although near the main rd (lucky not a busy rd). Besides the pool, the rest of the facilities listed are not that good. But overall a very nice place! Great location, near bus stops, Eastcoast Park, foodie places and major expressways.